Every musician knows how important it is to keep your instrument clean, well maintained, and protected. 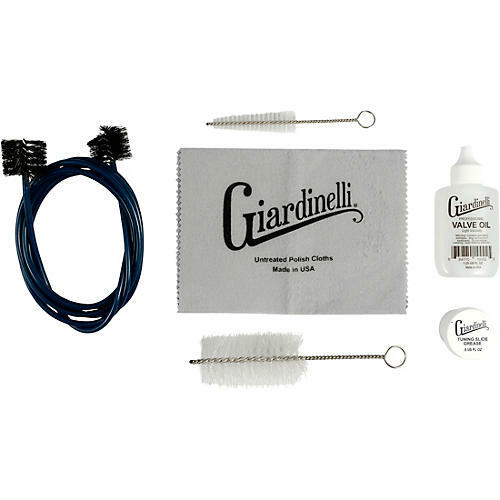 Now you can make this essential maintenance easy with the Giardinelli Low Brass Care Kit. This Starter Pack contains all the necessary materials to make sure your Low Brass can be kept clean, well maintained and protected. Each item is carefully selected for the care and cleaning of your Low Brass so you can focus on playing your instrument at any time.